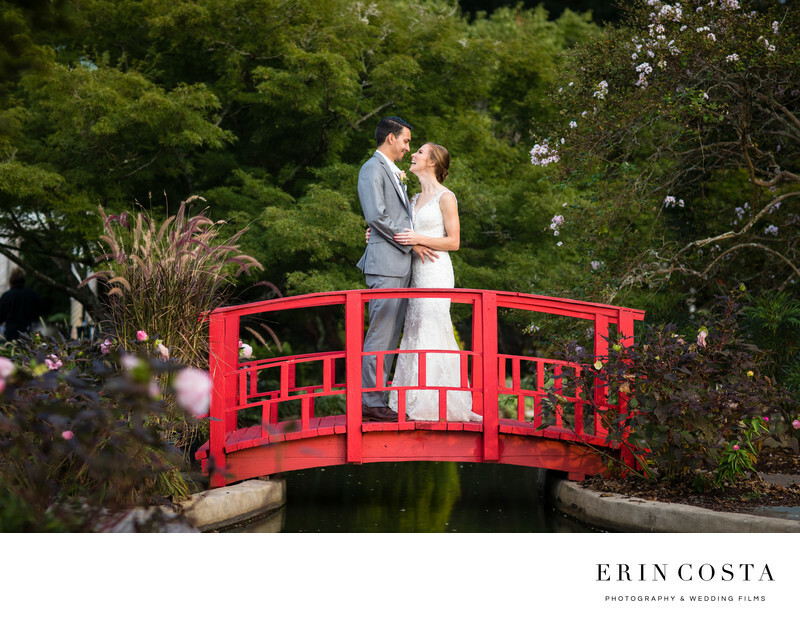 The red bridge at New Hanover County Arboretum is so bright and cheery and the perfect spot to take bride and groom photos on your wedding day. Having your wedding at the New Hanover County Arboretum is a great choice because you can host both your wedding ceremony and reception all on sight. Their beautifully manicured gardens make every corner a photo opportunity. Not only is the New Hanover County Arboretum a great place for a wedding, it's also a great location to go for your engagement session photos. The arboretum is conveniently located ten minutes from Wrightsville Beach so you can easily fit in two different locations for a varity of looks during your engagement session.